Originally an apartment block in the late 1950s, River Towers, Minneapolis (The Towers) was one of the first condo developments to appear as a part of Minneapolis' urban redevelopment. The 27-story, brick and stone building was one of the first of its kind in the area, and set the standard for upscale redevelopments to follow in the years to come. 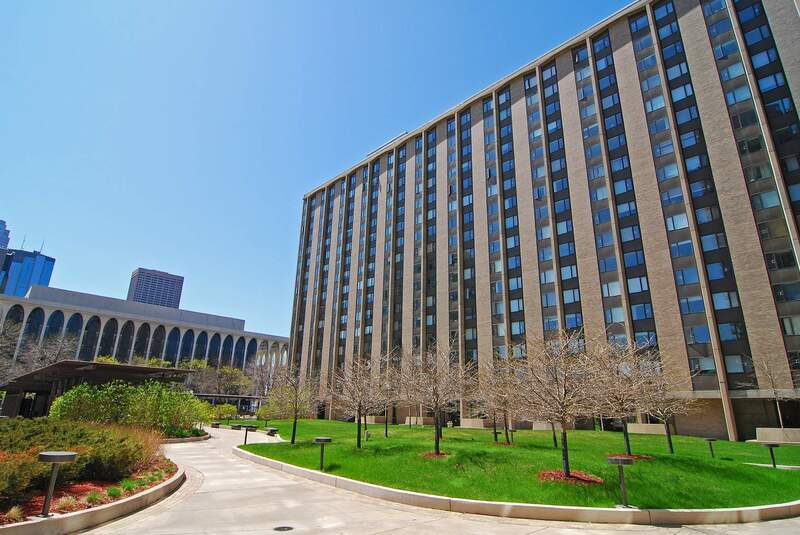 Nearly 50 years later, The Towers has stood the test of time, and remains a popular housing option with lots of great amenities. Homebuyers can expect to find 1-3 bedroom units with traditional floor plans. Spectacular views of Minneapolis skyline can be seen from some units. Centrally located in the heart of Central Minneapolis, homeowners are just minutes away from parks, shopping, restaurants, and attractions. The building itself also has some lovely features like a pool, gym, rooftop sun deck, and tennis courts. This is a good entry level condo for first time homebuyers, and working professionals looking for a convenient location in Central Minneapolis. Scroll down for all River Towers Condos for sale in Minneapolis or learn more about the building features and neighborhood amenities that make this such a great place to live. 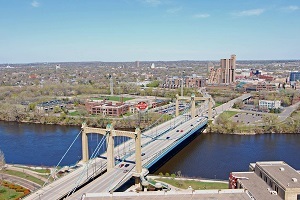 Looking to live at the River Towers Condominiums in the Mill District, Minneapolis but not finding what you are looking for? Inquire about our 'off MLS' Minneapolis Condo and Loft pocket listings. The 512 units at The Towers range from studios to 3 bedrooms, and come in one of three different floor plans. Homebuyers can expect fantastic skyline views from south facing units, and courtyard views with some rooms. 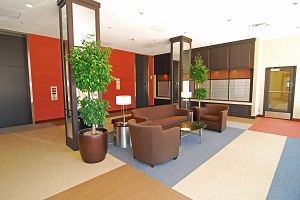 River Towers, Minneapolis also has some great shared spaces that come with monthly condo fees. Common areas include a large landscaped poo on the ground levell, tennis courts, a private workout area, 2 saunas, and a party room. A rooftop sun deck is the prefect place to catch some rays in the summer. Homeowners wishing to live in a central location will love River Towers' convenient location in Central Minneapolis. With a Walk Score of 88, most everyday errands can be accomplished on foot. Some of the neighborhood highlights include the Mill City Museum, Gold Medal Park, the Guthrie Theater, and the Stone Arch bridge. Parks: Gateway Park, Mill Ruins Park, Gold Medal Park, First Bridge Park, Minneapolis Sculpture Garden, Xcel Energy Water Power Park, Dickman Park, Boom Island. Restaurants: Seven, 112 Eatery, The Bachelor Farmer, Hell's Kitchen, Origami, Bombay Bistro Fine Indian Dining, Haute Dish, Atlas Grill, Pizza Luce, Nami. Shopping: Saks Fifth Avenue OFF 5th, Gaviidae Common, Nicollet Mall, Local D'Lish, Macy's, Target. Schools: DeLaSalle High School (Catholic, 10-12), Fair School Downtown (public, K-12), New Horizon Academy (private, PK), Bernie's Montessori School (private, PK), Marcy Open Elementary School (public, K-8). Do you own a condo in River Towers and happen to be thinking about selling? Let me assess your condos value and get you a price quote. Fill out my condo sellers form and our team of Minneapolis condo experts at Downtown Resource Group will get back to you with more information on the recent sales activity in your building as well as provide you a marketing plan and general market assessment.